Gore (Māori: Maruawai) is a town and district in the Southland region of the South Island of New Zealand. The town of Gore is 64 kilometres northeast of Invercargill and 70 km west of Balclutha – Dunedin and Invercargill are the nearest cities. The Gore District has a resident population of 12,500 (June 2016). The urban area estimated resident population at the June 2016 was 9,890, the second largest in Southland. Gore is a service town for the surrounding farm communities. It is divided by the Mataura River into Gore and East Gore, the majority of the town being situated on the western banks of the river. The Main South Line railway from Dunedin to Invercargill runs through the town, though passenger services ceased in 2003. Gore was once a busy railway junction; the Waimea Plains Railway ran west to connect with the Kingston Branch in Lumsden, while the Waikaka Branch connected with the Main South Line nearby in McNab. One of New Zealand's most famous preserved trains is the Kingston Flyer, which takes its name from a passenger express that once ran between Kingston and places south, but never to or through Gore although some people think that it did. In Köppen-Geiger climate classification system, it has an oceanic climate. The FM Hokonui radio station broadcasts from Gore to listeners in Southland and South Otago. Cave FM, Gore radio station locally owned broadcast from Gore and streams on net. 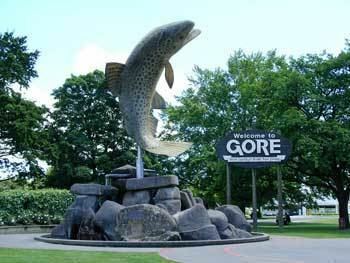 Before the arrival of Europeans the current site of Gore was a part of or near the routes used by Maori travellers. Tuturau, near modern Mataura, was the nearest Maori settlement. In 1836 southern Maori repelled a raid from the north, which provided sufficient security for Europeans to purchase land and settle in the area. By the mid-1850s large tracts nearby had been converted into sheep runs. A village named Gordon after Governor Sir Arthur Gordon became established on the opposite bank of the Mataura. By 1864 a road from Balclutha through Gore to Invercargill had been opened for wheeled traffic which allowed the establishment of a regular coach service between Invercargill and Dunedin. By 1877 there were enough business opportunities in the area for the Bank of New Zealand to establish a branch in Gore. Within another three years both the Bank of Australasia and the Colonial Bank had also opened branches. In 1899 the Bank of New South Wales followed suit. After its construction began in the early 1870s, a railway line between Invercargill and Gore was opened on 30 August 1875. By 22 January 1879 the railway had been extended to Balclutha where it linked with an existing line to Dunedin. A private Waimea Plains railway from Gore to Lumsden was opened on 31 July 1880. This was subsequently purchased by the Government in 1886. It connected Gore with the Invercargill-Kingston branch line. By 1908 another branch had been completed via McNab to Waikaka. The extension of the railways established Gore as an important hub and had a significant effect on its development. By 1879, the "Ensign" newspaper was being published in the town, followed in 1887 by the rival "Standard". In 1885 Gore was constituted a borough and in 1890 Gordon, by now commonly known as East Gore, amalgamated with Gore. It acquired a nickname of "Chicago of the South". By 1905 the population had increased to 2,354, compared with 1,618 in 1891. The establishment of the Gore Electric Light & Power Syndicate led in 1894 to Gore becoming the third town in New Zealand to install a generator and provide a public electricity supply. From the end of the Second World War until 1976 Gore enjoyed prosperity driven by record prices for agricultural produce which saw the town’s population rise from 5,000 in 1945 to 9,000 in 1976. By the late 1960s it was reputed to have the highest per-capita retail turnover of any New Zealand town. The farm sector went into decline after 1976 which led to a corresponding decline in the population. Related businesses also closed, including the town’s iconic cereal mill, which had processed oats and other grains since 1877. Since 2000 prosperity has returned as large numbers of farms in the surrounding area were converted to dairy farms to take advantage of high prices for dairy produce. This growth has led to low unemployment in the town. Gore and surrounding districts have various primary, intermediate & high schools. 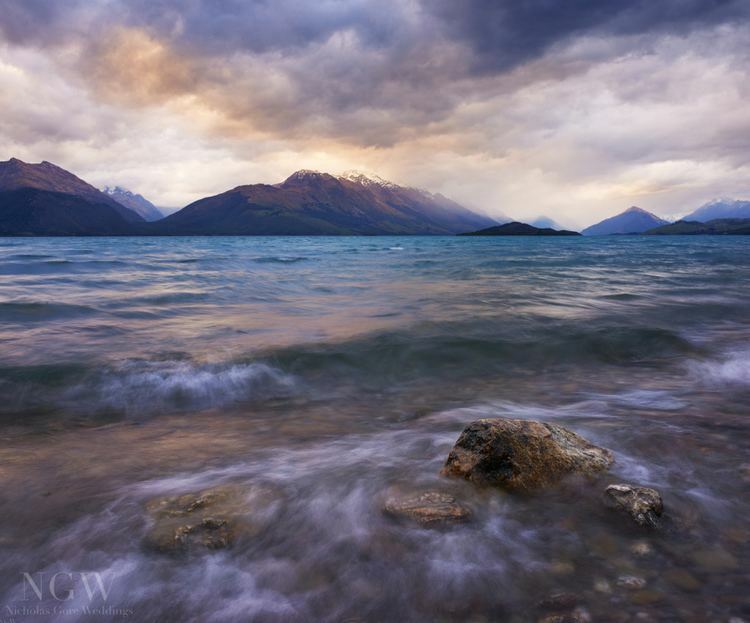 Gore is well known for its connection with Country and Western music, with the annual New Zealand country music awards having been held in the town for 36 years. It has a sister city relationship with Tamworth, New South Wales, the "Country Music Capital of Australia". Recently Gore has also gained a reputation as a centre for the visual arts in the southern South Island. A major bequest to the town's Eastern Southland Art Gallery by Dr. John Money has left the institution with one of the country's best collections of ethnological art. 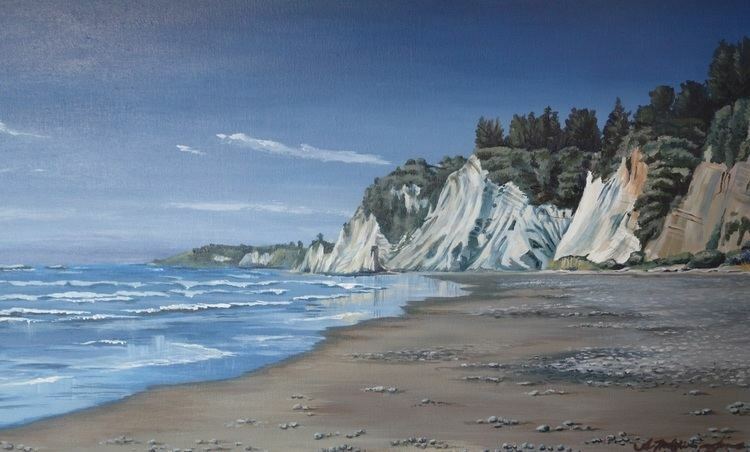 This is partnered by an impressive collection of modern New Zealand work, including several notable pieces by Ralph Hotere. 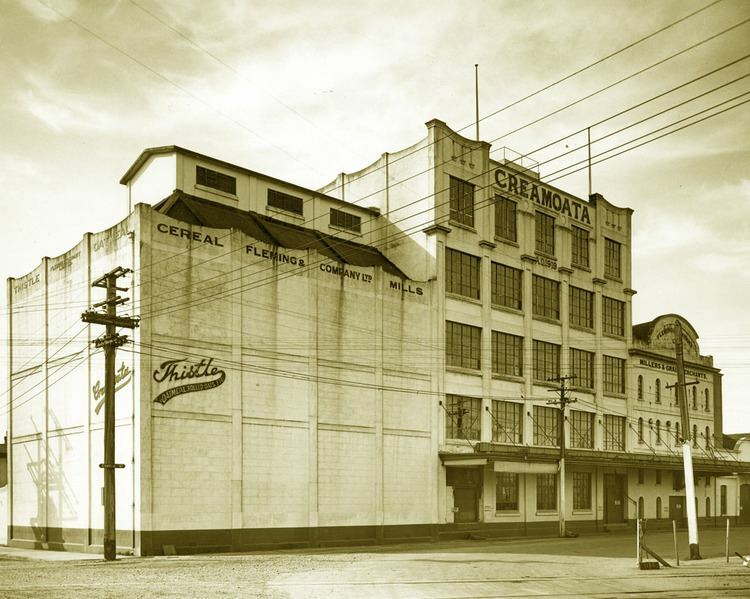 The Flemings "Creamoata Mill" is an iconic local building, with Flemings "Creamoata" brand of porridge once considered the National Breakfast, and the mill itself considered one of the most modern cereal mills in the southern hemisphere. Production of all products was moved to Australia in 2001, and Creamoata was discontinued in 2008 after declining sales. Goodman Fielder claimed that the plant was no longer viable as it was operating at less than one third of its capacity. The building's famous "Sgt Dan" remains because rights to it have been purchased by the buildings current owner "Sgt Dan Stockfoods Ltd". The building has a Category I listing with Heritage New Zealand. The former East Gore Presbyterian Church is one of the two remaining wooden Gothic churches designed by the eminent architect R.A. Lawson. Built in 1880 and registered as a category 2 historic place by Heritage New Zealand, the main building is currently used as a performance and lecture theatre and the hall, built later, as a studio and flat for visiting artists. The latter houses the bedroom furniture from the Royal Suite commissioned for the Queen's Royal Tour to Southland in 1954. The "Hokonui Moonshiner Museum" in the heritage precinct celebrates Gore's part in the "...colourful history of illicit whiskey making and consumption...", with illicit whiskey being produced in the Hokonui Hills to the west of the town up until the 1930s.